In English, De Bakkerswinkel means "the Bakery". And it is definitely an Amsterdam insitution! 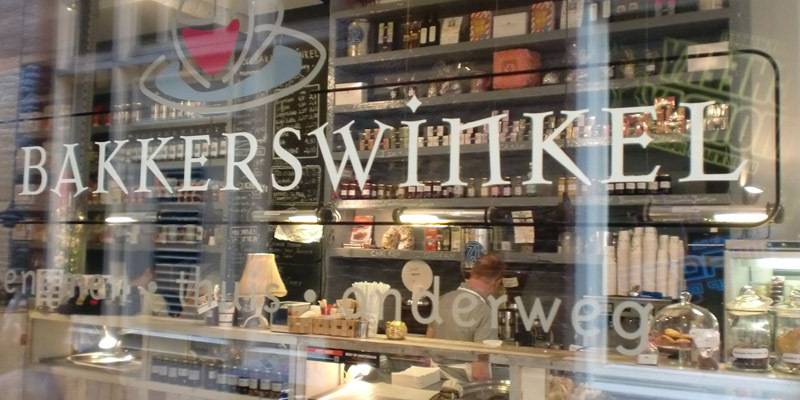 There are several spots in the city, and De Bakkerswinkel South is the very first one. What makes it so popular? Simple! It is cute, cozy, friendly... And the food is really yummy. Locals or occasional customers are always pleased, and it is quite easy to understand why this is an Amsterdam must try for the brunch. Sandwiches, pastries, breads, cookies, scones, cakes... Tasty!